IIC: 16TH ANNUAL OKTOBERFEST AT IVY HALL! 16TH ANNUAL OKTOBERFEST AT IVY HALL! 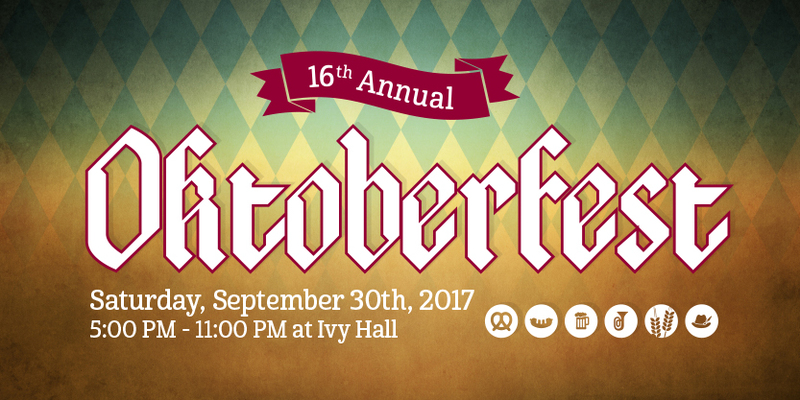 The International Institute for Culture is hosting its 16th annual Oktoberfest party on September 30th at Ivy Hall! Join the party that's been running since 1810! “The Oktoberfest” is a festival of food, drink, and entertainment. It is a coming together of family and friends that has its roots in Germany at the royal wedding of King Ludwig I and Princess Therese of Saxony-Hildburghausen. Although the party at the wedding ended, the tradition of celebration continues to this day! Bring your friends and family and join us for German cuisine, a pig roast, imported German beer, music, and dancing! Come out rain or shine! Price includes all food and beverages.